Hi, Y'all Robyn here, and set your timers as these cards and a tag are more 15minute wonders! 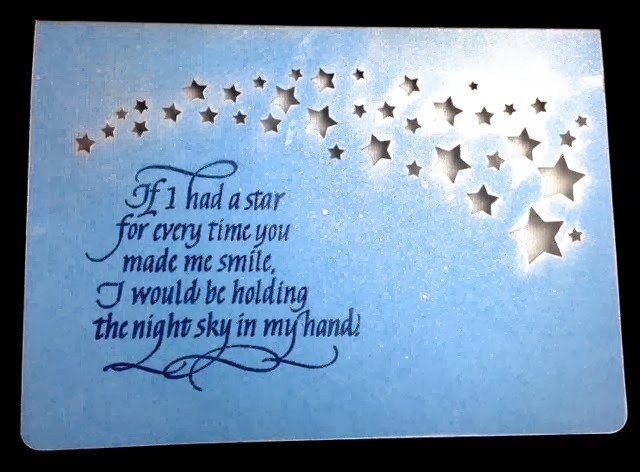 The Stream of Stars Card is new in the Silhouette Store, and is an instant card once you download and cut. 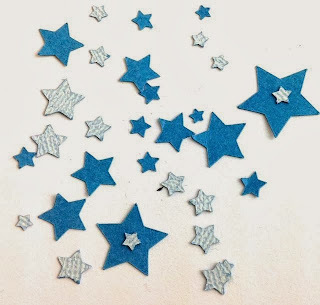 It was cut on Core'dinations Whitewashed paper, so the stars peak through the cuts in the lighter contrasting color of the paper. The Quote is stamped in VersaFine Deep Lagoon and thermal embossed clear. The glitz is Ranger Perfect Pearls, perfect pearls mist. The Stream of Bats is also a complete digital cut file card. 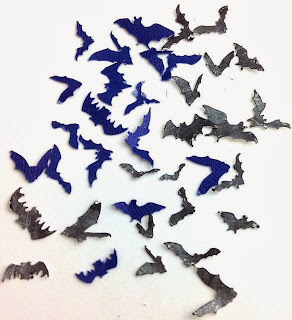 Un group the file, select your bats to enlarge( bet you can't pick just one!) 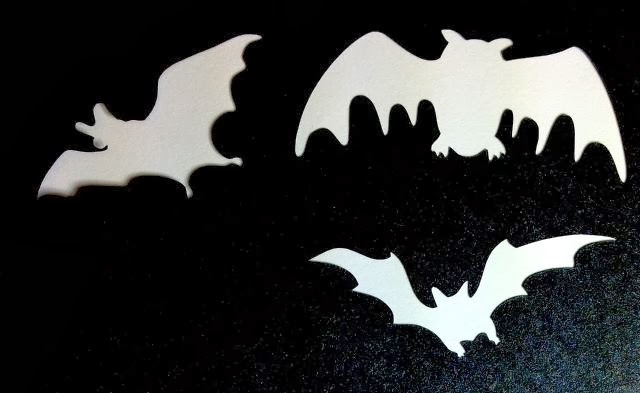 and cut them separately . 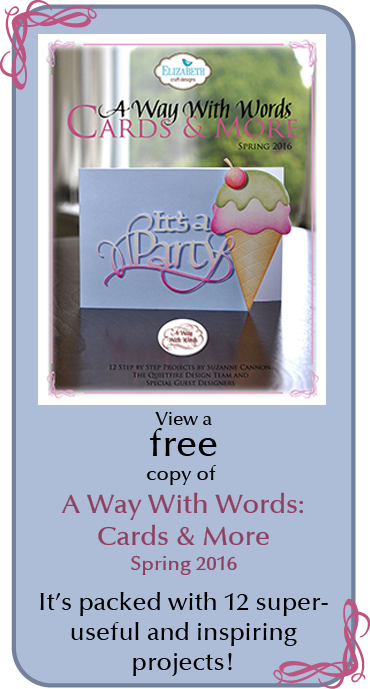 The Quote is stamped in VersaMark and thermal embossed white. The Bats are popped up on fun foam. Color the sides with a dark marker so white doesn't show when you look from the side of the card. A spritz of Perfect Pearls mist and you're done! 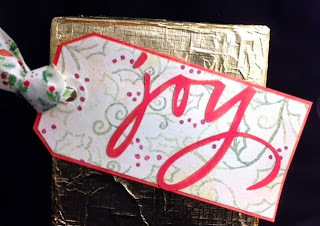 This little tag is the Joy Digital Cut file. 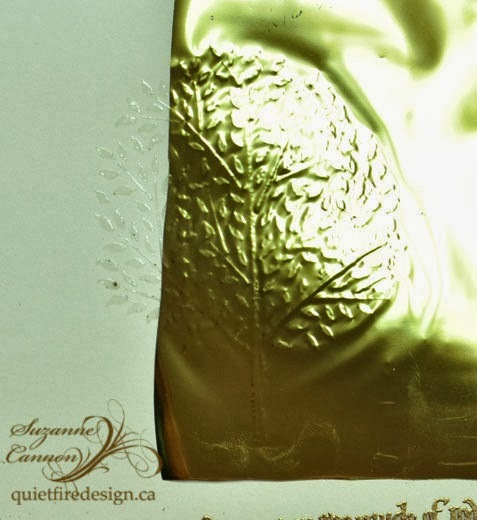 The back has plenty of room for the stamp thermal embossed in Queens Gold. The most fun of all is the extras. All that for 99cents each! Wow! The card files come with a perforated fold line. I change that line to no cut and score the card when I am done embellishing it. Let me know if you are enjoying seeing these simple cards and tags. I'll leave it to my DT sisters to layer them up! Be sure to visit us often for inspiration for your own creations. 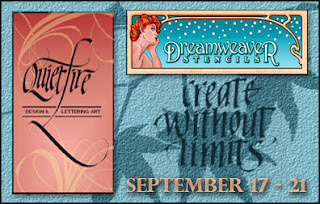 Our Dreamweaver-Quietfire Blog Hop Winner! Thanks to everyone who left their comments. I know each designer really appreciated your thoughtful words. 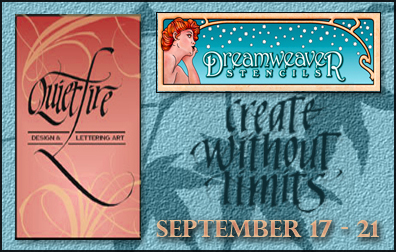 Thank you to Dreamweaver Stencils for all their work and inspiration. 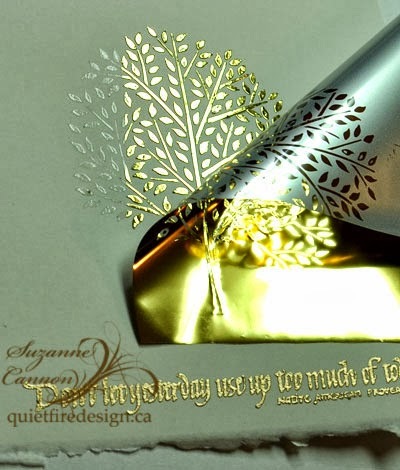 the New Quietfire Design Digital Cut Files with your traditional Quietfire Design Rubber Stamps. 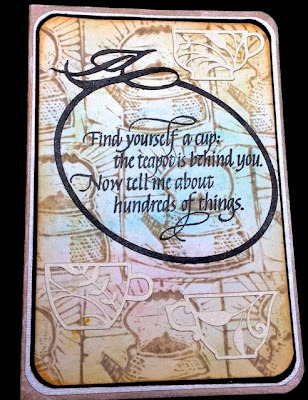 The background is a stamp I carved out of soft cut, stamped with Distress brushed corduroy on Neenah Solar White 80lb. 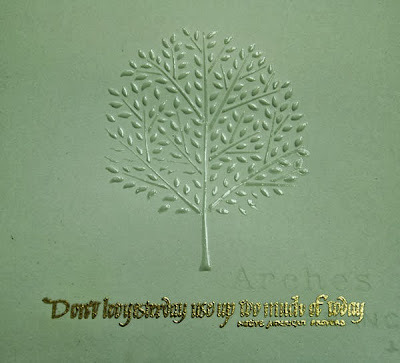 The Quote is stamped with VersaFine Onyx Black and thermal embossed clear. 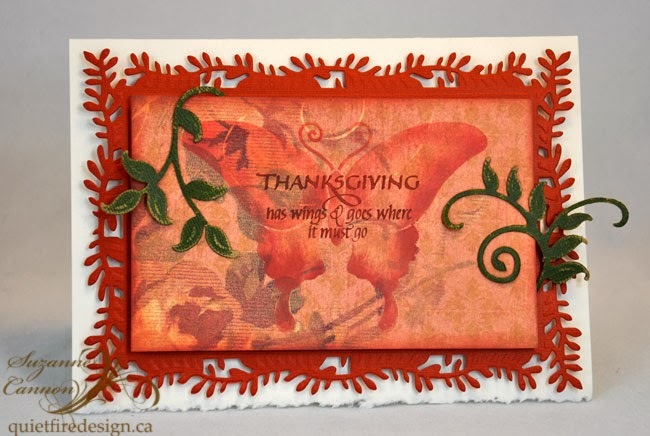 The frame is the Flourished Leaf Oval Frame Digital Cut file. The little tea pots are also cut files I found on the Silhoutte Store. the sentiment is from the Floral Thank You set, stamped in VersaMark and thermal embossed in Queens Gold. Just getting started in Digital cutting? You can do it, we can help! Welcome! Thanks for joining us for our final day! 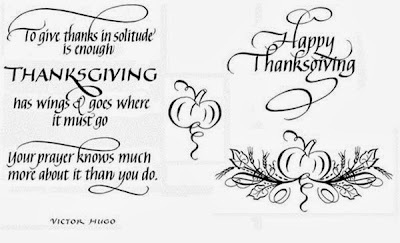 We hope you've enjoyed our amazing week of Awesome in Autumn! 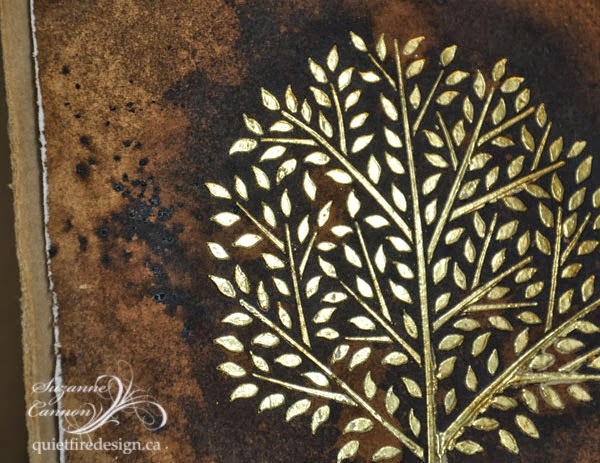 We have been partnering with the Dreamweaver Design Team and have been so excited to play with their innovative stencils, pastes and glitters! Make sure you leave your comments on each blog for an opportunity to win one of two wonderful prize packages. Well, you can see how that came together. 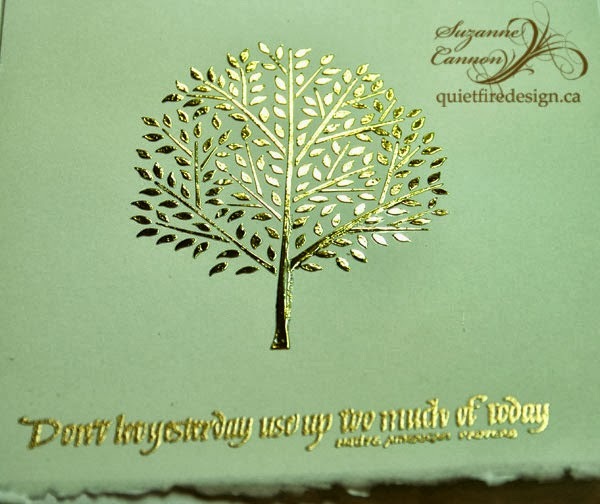 I chose a paper that I love and have never used - Ancestry.com by KandCompany and chose a sheet with autumnal colours. 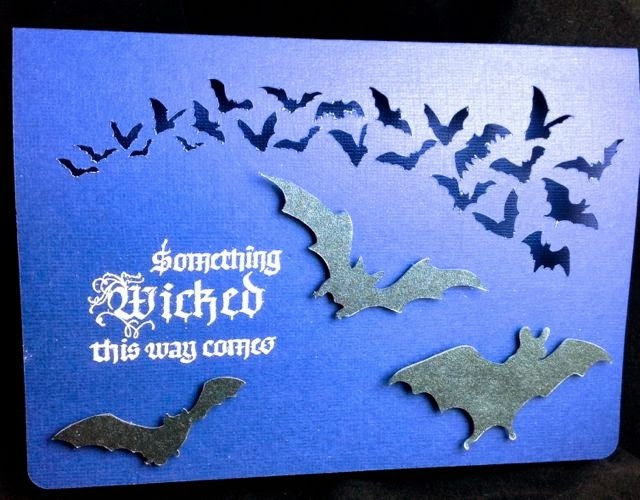 Once you have the bits and pieces assembled, this is a very quick card! Use Open Butterfly to stencil VersaMagic Pumpkin Spice, Red Brick, Mango Madness and Thatched Straw onto decorative paper. Remove stencil. Cut apart stamp quotation and stamp using Versafine Crimson Red. 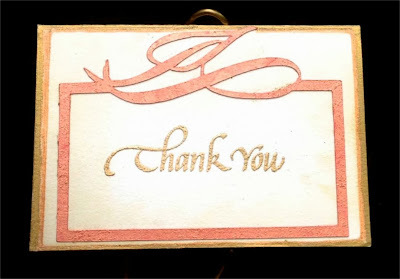 Trim stenciled paper to 5.5" x 3-3/8". 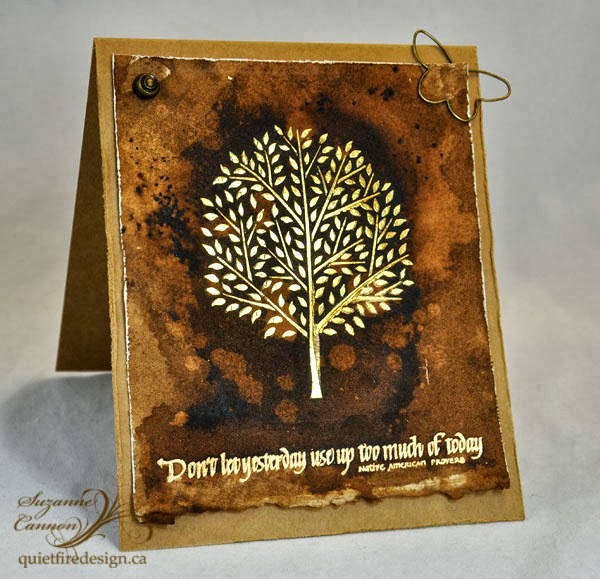 Use Ink Blending Tool to antique edges with Pumpkin Spice and Red Brick. 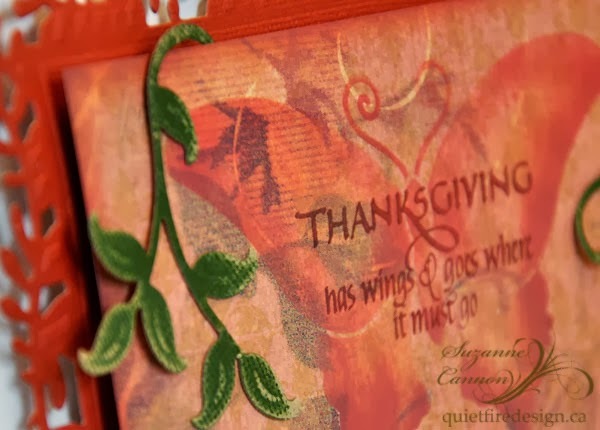 Use Spellbinder's Branching Out die to cut Core'dinations cardstock. 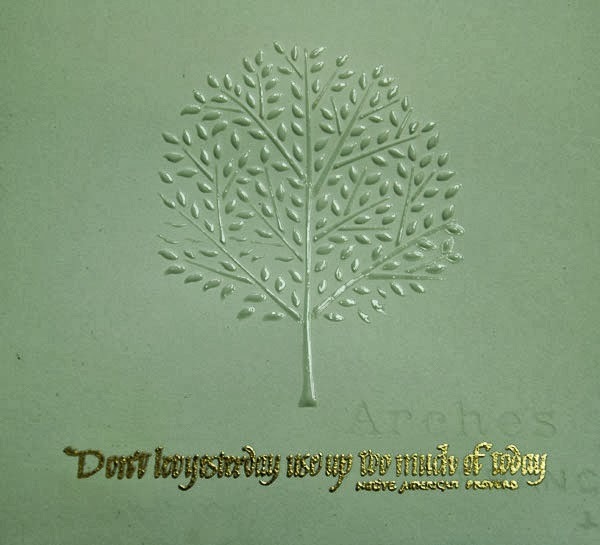 Use Spellbinder Foliage Two to die cut two leaf branches from Kraft-Core Green then sand to reveal the kraft core. Assemble using Glue Dots and Pop Dots as shown. Here are the thumbnail links to the products I used and that are sold on the Quietfire Design site. 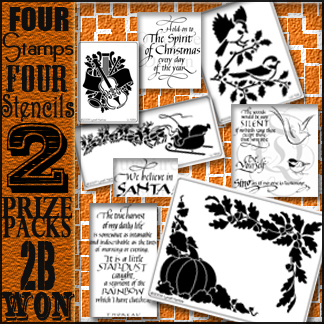 All your stenciling needs and wants can be found at Stencil With Style! Prizes will be announced on Thursday! You have till midnight Sunday (Sept. 22) to leave your comments. Welcome! We're so happy you're joining us for Day #4! 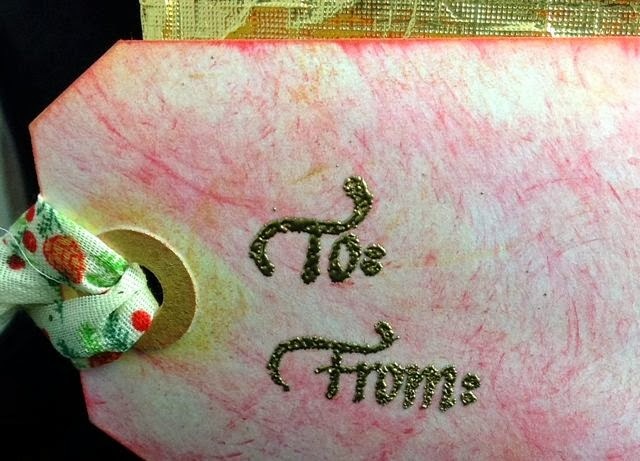 Use your fingers to press on the foil. That helps all sides of the raised leaves get covered with foil. Peel the foil off. 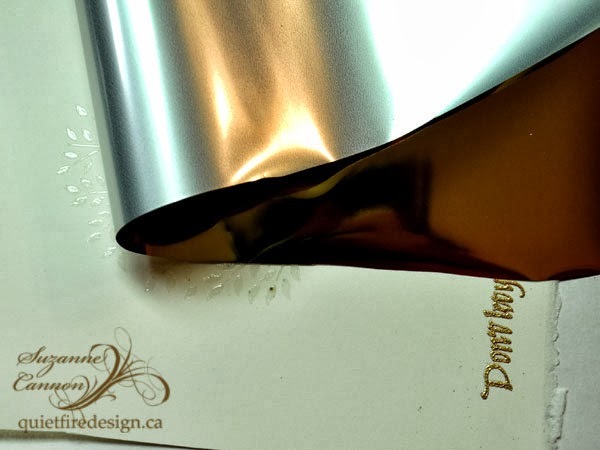 Move the foil and rub fresh foil on any place that you missed. This will need repeating a few times. Let's see if we can get some drama happening. Since this is watercolour paper, let's get it wet. Although this only shows a wet circle, I ultimately wet the whole piece of watercolour paper. Then right in the middle, I added very concentrated Walnut Ink, made from crystals. Then see what happens. So you swirl and you roll your paper. You drip water from your fingertips after it dries - the first time. You throw some Walnut Ink crystals on a damp spot and let them slowly dissolve. Nothing is completely predictable! And that's okay. Allow your project to dry, mount it on a chipboard card, distress the edges, add an ornamental brad and a wire butterfly and voila! You have a completely different look from the variation! 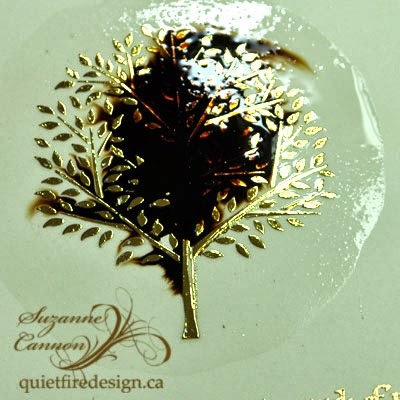 To see a variation on this technique, visit the Quietfire Style blog. Here are the thumbnail links to the products on the Quietfire Design website used in this project. The Tree of Life stencil may be found on the Stencil with Style website here. The 9 Days of Christmas Winners! Welcome to the 9 Days of Christmas!